Here in the following we'll discuss about Apply in Ministry of Railway Jobs 2019 OTS Application Form Download Online for the following vacancies which are on contract basis. 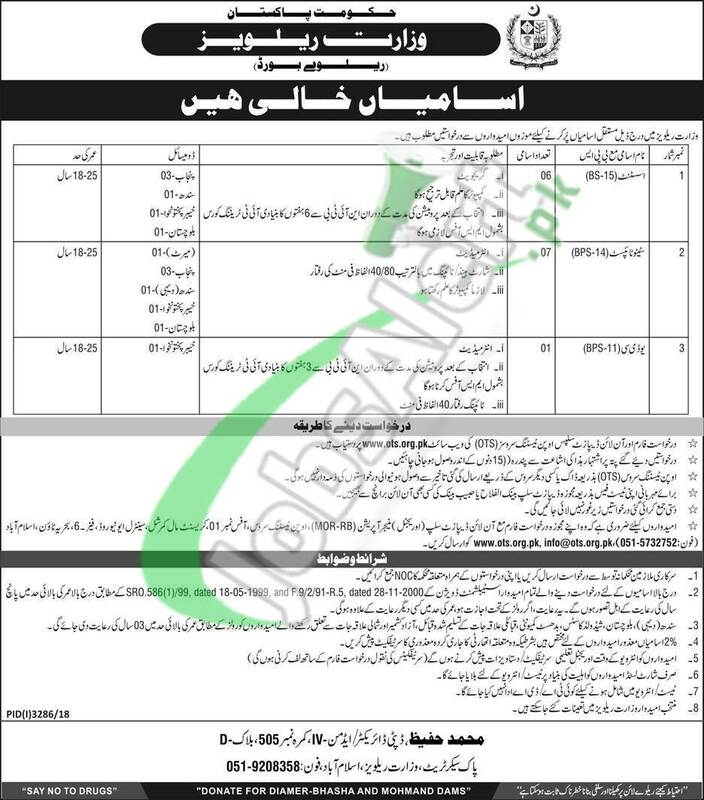 Jobs in Ministry of Railways to apply are such as (Assistant, Stenotypist, UDC) on Punjab, Sindh, KPK, Balochistan Quota. Candidates possessing qualification from Graduation to Intermediate and relevant skills are allowed to apply on OTS application form before the last date 05th February 2019.